The Centre for Computing History has relocated to Cambridge in March 2013. 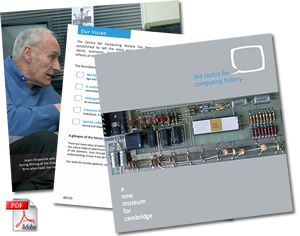 Cambridge is the natural home for The Centre for Computing History. Known as Silicon Fen, the region around Cambridge is home to a large cluster of high-technology companies (computing, biotechnology, electronics and software) many of which have direct and indirect links with the University of Cambridge. This record of high-tech company formation, dating back to the sixties, has become known as the Cambridge Phenomenon. An area of intense innovation activity, with the City of Cambridge at its heart, it is considered one of the most important technology centres in Europe. The eighties witnessed unparalled growth in the use of home computers. Cheap microcomputers dazzled the public imagination, inspiring a legion of programmers who embraced the brave new world they introduced. Two seminal Cambridge companies were Acorn Computers and Sinclair Computers. Sir Clive Sinclair brought computers to the masses with his affordable ZX80, ZX81 and Spectrum computers. Meanwhile, Acorn, founded by Chris Curry and Hermann Hauser, developed a machine that would be adopted by schools up and down the country: the much loved BBC Micro. Sinclair is still in business. Acorn has long gone. However, Acorn’s legacy, the ARM processor, dominates the mobile computing market with processors in over 98% of today’s mobile phones. ARM is still based in Cambridge. 1812: Charles Babbage - originated the concept of a programmable computer with his first ideas for a calculating machine. 1897: J J Thomson - discovered the electron in 1897 at the University's Cavendish Laboratory setting the foundation for modern physics, electronics and computer technology. 1934: Alan Turing - graduated from King's College, Cambridge. Turing was a founder of computer science and cryptographer, whose work at Bletchley Park was key to breaking the wartime Enigma codes. 1949: Maurice Wilkes - developed the EDSAC (Electronic Delay Storage Automatic Calculator), the first practical stored program digital computer. This and the EDSAC2 uniquely provided a computer service for research and were central to the advancement of computer science. 1978: Roger Needham - awarded a BCS Technical Award for the CAP (Capability Protection) Project. 1980: Andy Hopper - working with Maurice Wilkes developed the Cambridge Fast Ring, a pioneering computer network that would later form the basis of broadband Internet. The Centre for Computing History has navigated an eventful journey over the past four years. It has forged a reputation for originality and impressed organisations as diverse as the BBC, Open University and the Gadget Show Live. Like any good piece of software, the museum is designed to be scaleable. Careful strategy, sheer hard work and passion have delivered remarkable results, despite a limited budget. The Centre now stands poised at a definitive moment. 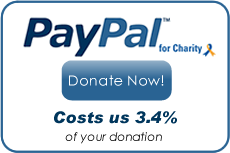 To embark on the next stage, reach for its full potential and achieve great things, it needs your support. Through sponsorship, organisations now have the opportunity to make an enduring contribution to computing history and play a key role in shaping the museum’s future.The amount of funds raised will determine the magnitude of the project. The primary aim now the Centre to Cambridge is to provide financial support for an initial five year incubation period, at which point the Centre must be self-sustaining. The Centre for Computing History seeks to reinforce relationships successfully established during the last four years. It is also looking to new sources of funding from the Corporate and Private Sectors. 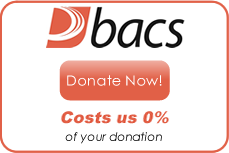 Past financial support has come from The Open University, Borough Councils, Town Councils and private organisations. The Centre already generate a portion of its own revenue from exhibitions, TV & film, consultancy and sales. Future sponsorship and donations are likely to come from the following areas: Companies, Trusts & Foundations, Major Individual Gifts, Public Appeals and Events. With your financial support we can secure a successful museum in its natural home in Cambridge. For more detailed information about the project, please take a look at the brochure below or call 01440 709794.